I thought I would share the cards I made for my father and father-in-law for Father's Day. I didn't post them beforehand as I wanted to make sure they had them before others saw them. The first card up is the one I made for my father. I decided to go with a vintage feel and use the fun Found Relative cards and other goodies that I have been enjoying lately. 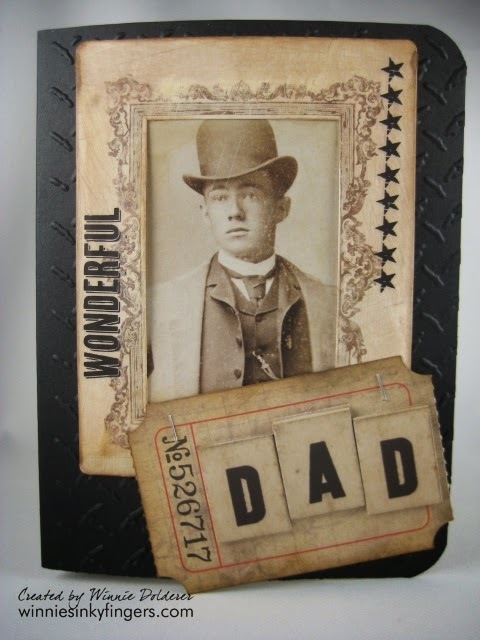 I used Tim Holtz rub-ons directly on the cards for added accents. For my father in-law I went with a vintage feel as well, but something softer and more distressed. 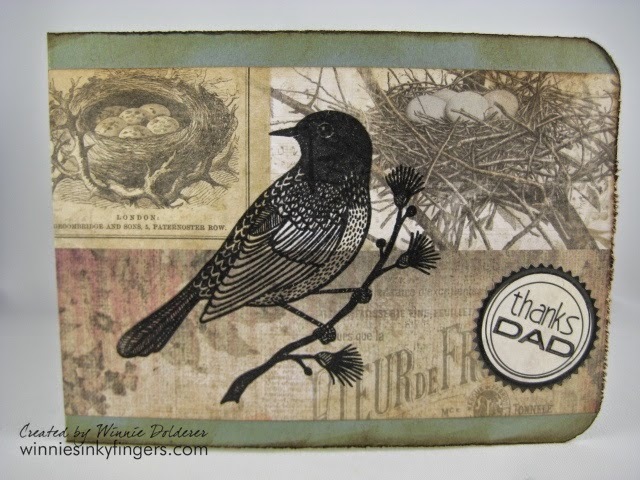 I know that he loves to watch birds, and one of my pen pals (and friend) sent me a beautiful stamp by Magenta and I knew it would be perfect for this card. The patterned paper and label sticker I used are both by Tim Holtz as well. Gathered Twigs Distressed ink was used to add the vintage and worn look. I hope you enjoyed seeing these cards as much as I enjoyed making them. What sort of ink do you use for stamping? I'm impressed at how precise your stamped images are. Lucky dads! Such fun cards... love the bird themed one particularly. P.S. Thanks for sharing about your niece and her 'secret'! Fun story! Lucky dads! Love the bird themed card - so pretty. P.S. Thanks for sharing the Harney story - gotta love 4-year olds and secrets!